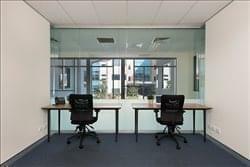 Find My Workspace lists over 95% of the serviced offices market in Murarrie. Simply click Request Quote to check pricing for one office, or Add to Basket for multiple offices. This business centre boasts a modern layout with the latest technology, including high speed fibre optic internet access. Offering full reception service with dedicated phone answering and unlimited use of meeting rooms and boardrooms at no extra cost. All offices are fully furnished, all you have to do is move in. Flexible terms and the ability to grow or downsize as your business changes allow the potential for a lot of freedom while any of 5 locations for your meetings can be chosen which will be included in your costs. At this business centre, the executive serviced offices are of premium ‘A’ grade quality and boast a modern layout with the latest technology, including high-speed internet access, state of the art photocopying machines and conference facilities. To obtain information for your selected Murarrie Serviced Offices, please tick the "Add to basket" box for each office you prefer and complete the form below. We will then send a detailed report via email.